If you've been wanting the biggest, baddest sword on the planet, you've come to the right place. 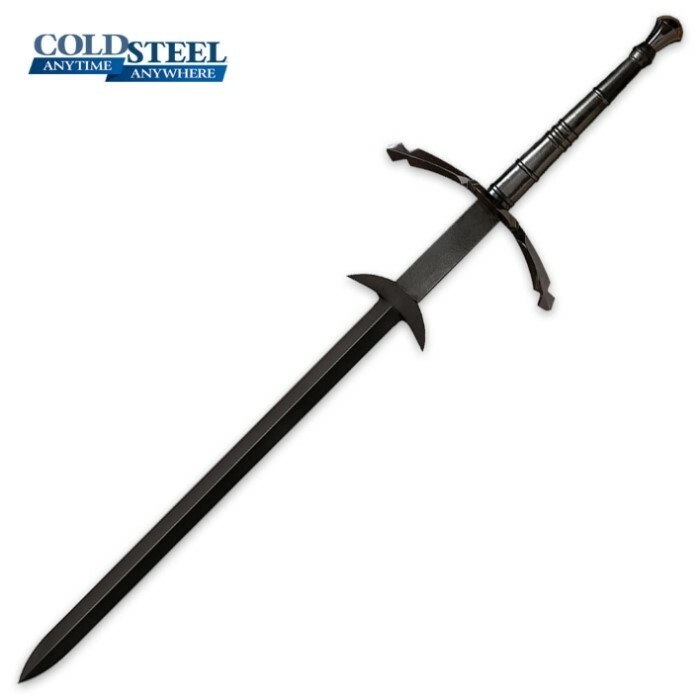 This Cold Steel Two Handed Great Sword is the largest, sharpest sword in Cold Steel's entire line up. The two-handed great sword features a massive 40" double-edged 1055 carbon steel blade with a black gun metal finish. This spectacular piece of steel can slice through anything you throw at it, if you don't believe us, just watch the video below! This sword does not include a scabbard. The sword is well balanced and strong, it's lighter than expected and is easy to control. BudK claims it comes fully sharp, however, it was somewhat sharp. After I finished the blade the edge holds very well, it is a good sword and I would recommend it to anyone looking for a good MAA full tang sword. I don't have one yet, but I have gotten to train with this exact sword and I switched sword styles right away. I mean I always thought I was a scavenger, ya know being known as vulture and all so I was learning Katana basics (as I can already shoot a bow) but I swung this thing around and let me just say... I'm 6'6" tall and I'm a carnivore and if you can swing this sword it's the sword to have. I'm getting mine ASAP and already training with one.